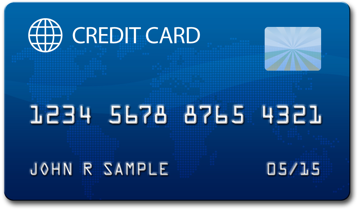 Sign up for free and link your credit and debit cards. No more hassling with coupons or loyalty cards. 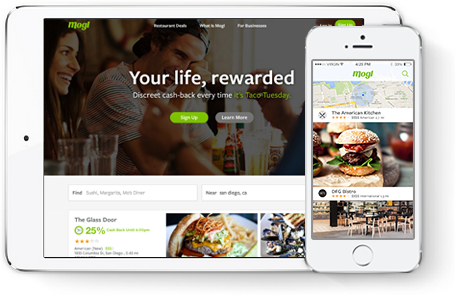 Check Mogl.com or our apps for real-time offers at restaurants near you. The best offers show up at the top. 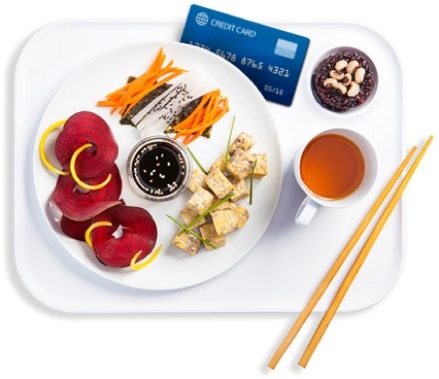 Eat, drink and be merry then simply pay with a linked debit or credit card to instantly earn rewards. It's easy and discreet, even your server won't know you used the program. any time in your settings. Earn cold hard cash deposited every month. Donate to a fundraiser or create your own. Earn points for airlines, hotels, etc. Mogl is using business as a force for good.